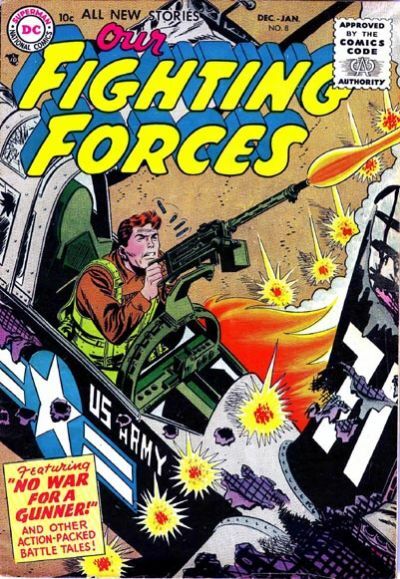 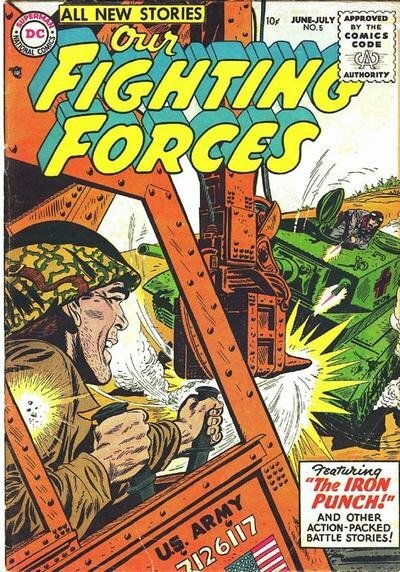 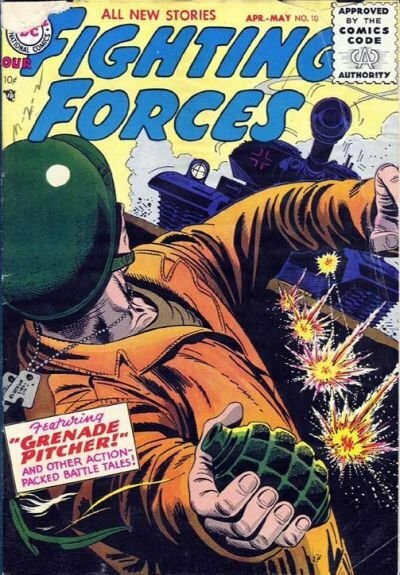 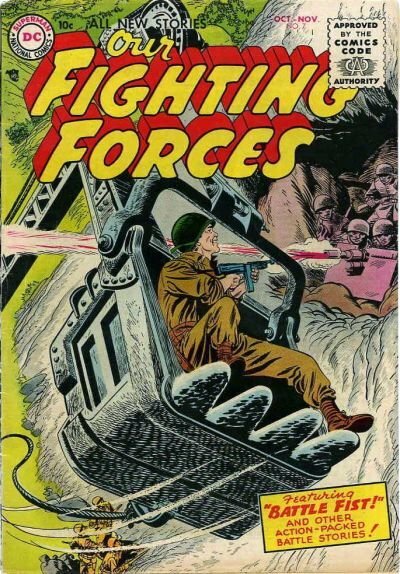 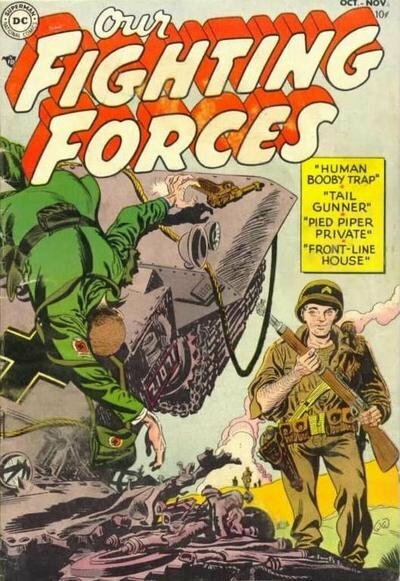 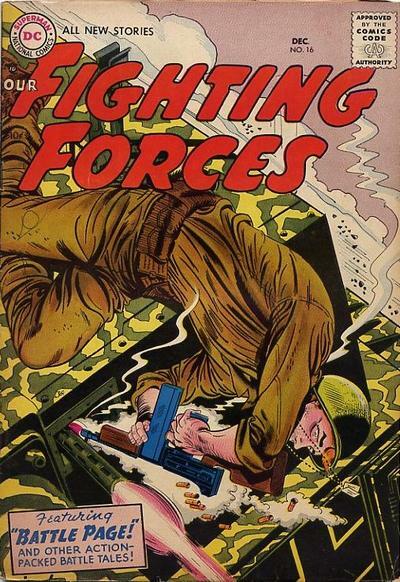 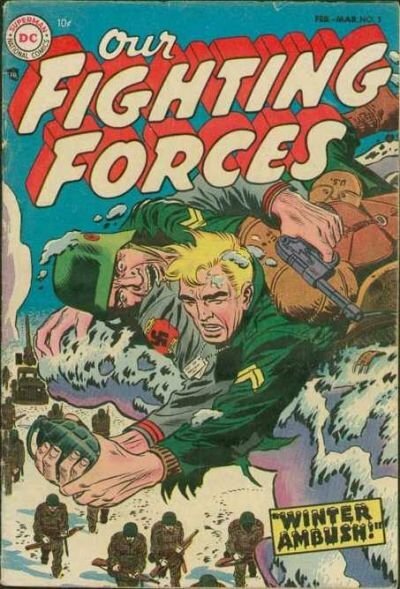 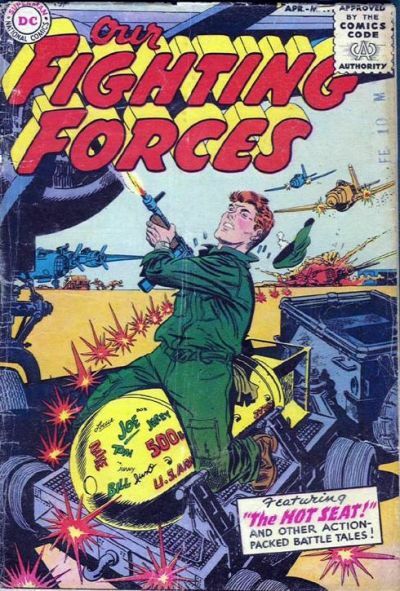 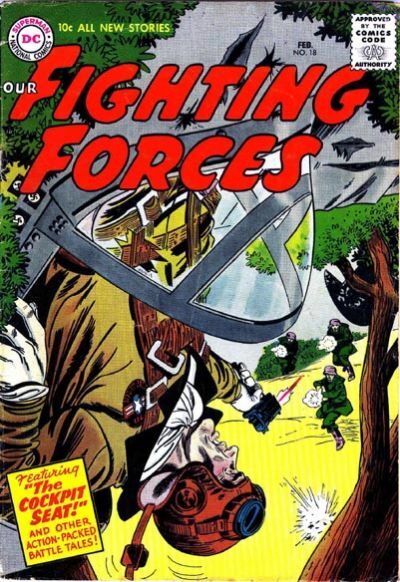 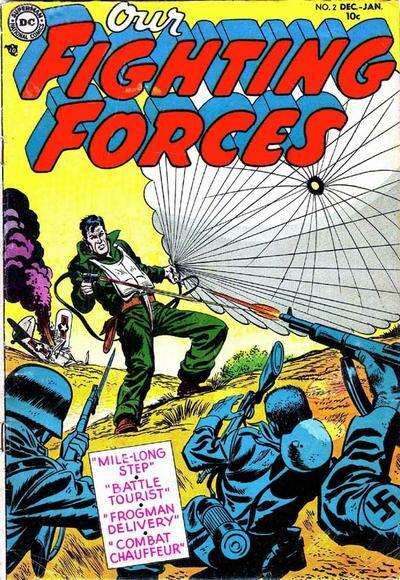 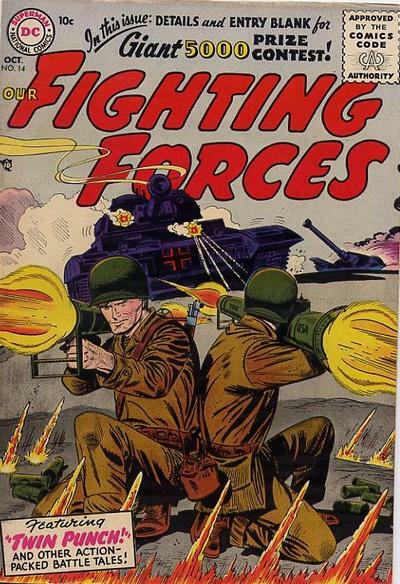 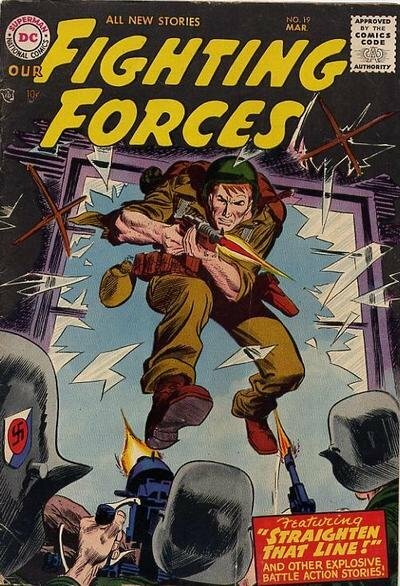 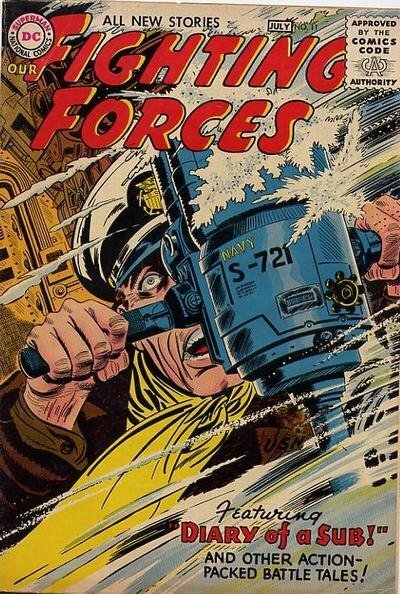 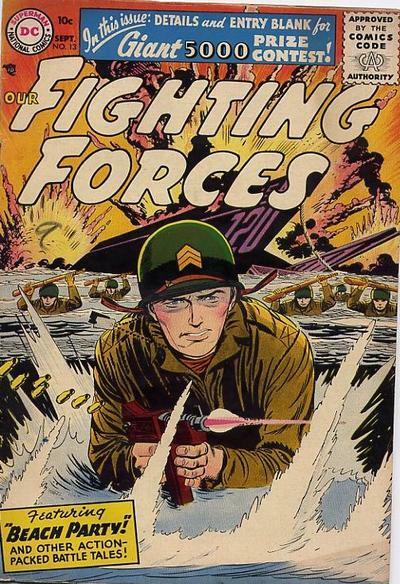 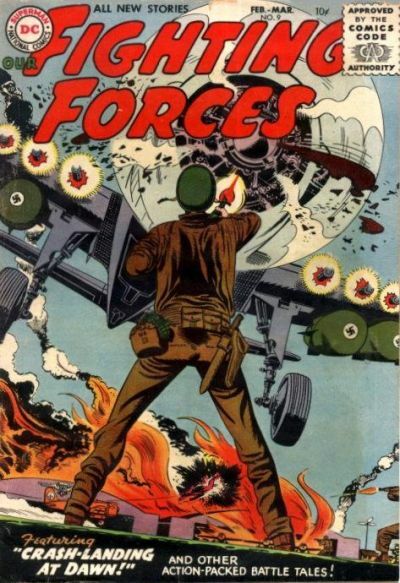 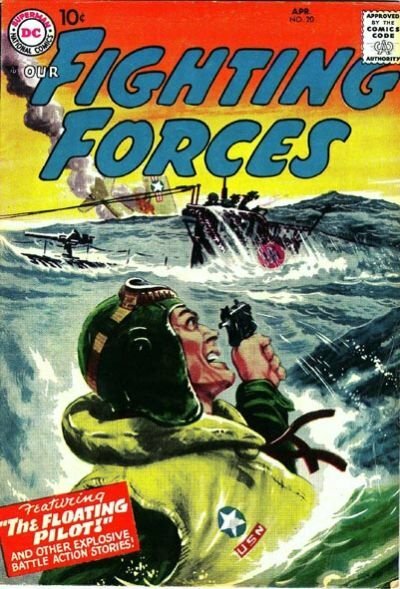 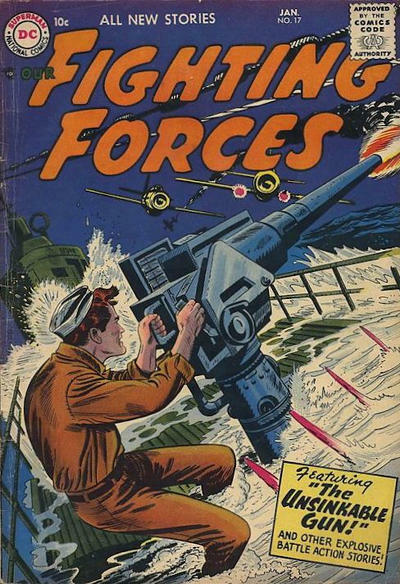 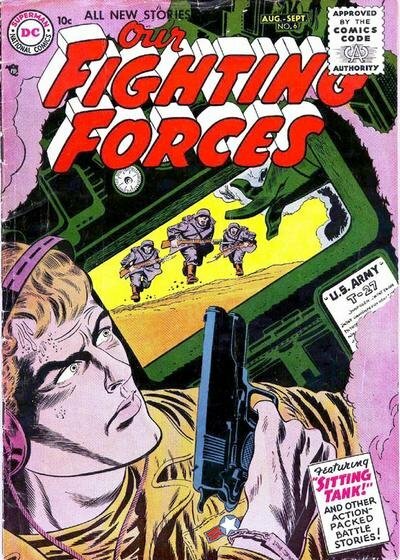 Our Fighting Forces is a DC Comics war-anthology comic book series that ran for 181 issues from 1954-1978. 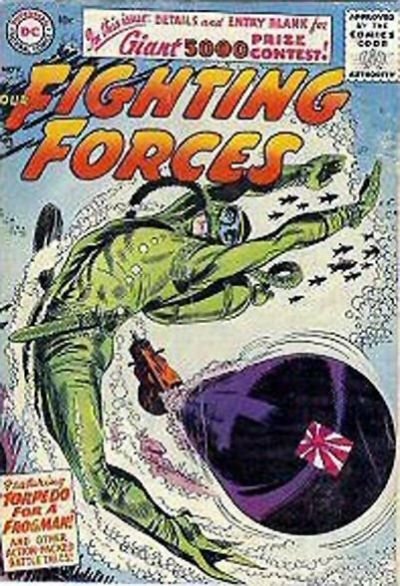 Writer-editor Robert Kanigher and writer-artist Jack Kirby were among the comics creators whose work appeared in the title. 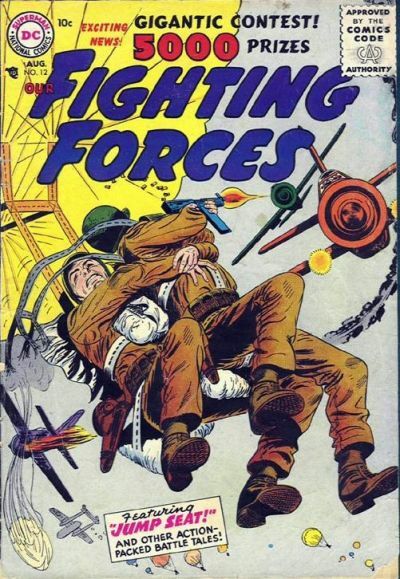 Others include artists Jack Abel, Ross Andru, Ken Barr, Gene Colan, Ed Davis, Mort Drucker, Mike Esposito, Ric Estrada, George Evans, Jerry Grandenetti, Russ Heath, Bruce Jones, Joe Kubert, Irv Novick, John Severin, Tom Sutton, Frank Thorne, and Wally Wood, some of whom would also script.